At Power Soccer, children and parents experience a fun age-appropriate program fostering confidence through sport and soccer. Our programs place an emphasis on fun, fair play, learning skills and involvement for all children. We offer year-round clinics and camps, that focus on ball control, passing, agility, movement, balance and, shooting. Your children will learn new skills and benefit from our low coach-to-player ratio. 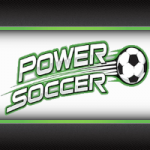 Power Soccer offers camps for Summer holidays, March break, Winter break, and PA days, as well as weekend and after-school soccer clinics for ages three-years-old through to sixteen-years-old. Our programs also include girls-only clinics and goalkeeper training.